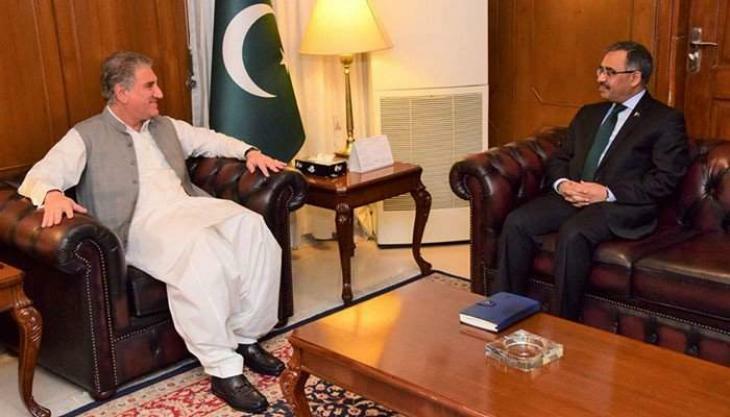 ISLAMABAD, (UrduPoint / Pakistan Point News - 17th Apr, 2019 ) :Newly appointed Foreign Secretary Sohail Mahmood Wednesday called on Foreign Minister Shah Mahmood Qureshi here at the ministry. The minister congratulated the newly appointed foreign secretary on assuming charge and said he is a seasoned and experienced diplomat, a Foreign Office press release said. Qureshi said Foreign Secretary Mahmood has a long experience of serving not only in Pakistan but he has also served as the high commissioner to India. Sohail Mahmood in his remarks also said he will make the utmost efforts to perform his duties to the best of his capabilities. 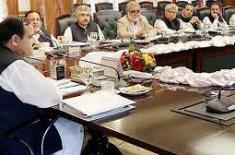 During the meeting, they discussed different contours of foreign policy. Mahmood who previously served as Pakistan's High Commissioner to India replaces Tehmina Janjua, who retired on April 16, after serving for two years. He has also previously served as Pakistan's ambassador to Turkey. Before that, he served as the ambassador to Thailand and permanent representative to the UNESCP Bangkok for four years till 2013. Mahmood has served as political coordinator for Pakistan's delegation to the UN Security Council before assuming office in Bangkok. He was Additional Foreign Secretary for America at the headquarters before leaving for Thailand.